Hi akderebur, can you take a look at the .SPK audio files? After depressing them by your tool. A user commented on audio files over at zenhax : https://zenhax.com/viewtopic.php?p=37609#p37609 it might be useful. If the files aren't decrypted properly because of the wrong key, I can't do much about it sadly. If the program can't guess the correct key, you have to manually find it. At this point it seems to load most of the stuff I throw at it, so I will stop doing tests for the time being. Couple of characters were enough for me anyway If you encounter a problem with a specific file, pm me and I might take a look. There are some meshes that use multiple uv channels. I have updated the tool to export the secondary uv channel too, for the meshes that have it. So if a mesh appears to have wrong uvs, try the second uv set. I have attached a modified IQE script to load the secondary uv set. The updated tool is in the first post. einherjar007 wrote: cc0001_b02a.asf does incorrect the weight of eyes. Incorrect or no weight? Both eye meshes seem to have no weight data, so they are exported as non-skinned. 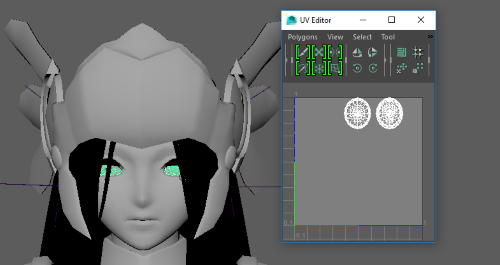 einherjar007 wrote: cc0002_b01a.asf had incorrect UV coordinates of the eyes. Eyes seem fine to me. Is it not like this with you? If you encounter another problem send me a pm with a sample file. I didn't get all the files from the game, so I might be missing some. i think i did something wrong here, both of you can decrypt cc0001_b02a.asf and cc0002_bo1a.asf and load them in IQE exporter. on my computer,soadec was not able to decrypt them . I managed to unpack them using the slz.bms, but I got model error when l loaded them in iqe exporter . tone wrote: i think i did something wrong here, both of you can decrypt cc0001_b02a.asf and cc0002_bo1a.asf and load them in IQE exporter. on my computer,soadec was not able to decrypt them. You are dragging the folder containing the asf files, right? If you are dragging the asf files it won"t work. akderebur wrote: You are dragging the folder containing the asf files, right? If you are dragging the asf files it won"t work. Can you pm me the those 2 asf files then? I only tried the files of the JP version, and they were fine for the most part. Are you getting the files from JP or Global? when use animation,the bone use location[0,-90.86/0.93457,0] as origin_point,in another word=copy parent_bone "R:POS_Pad2" bone_matrix.check in action"viewer_Beadscp0110_b01a_unpack" (character:マーヴェル)and "viewer_BeadsFemale_unpack"
NOT SSR female character who use bead(magic_ball) as weapon have a default action"viewer_BeadsFemale_unpack" . edit3:fix location_move marking"03 00 01", "03 00 02","03 00 03"
fix euler_rotation way marking"03 05 08"
and,In default, euler_rotation data translate to quternion "WXYZ". it's convenient for Blender NLA_editor . now,majority RUSH action('s location_moving) should be worked,except for some action use 6 byte/Frame rotation data. Last edited by dian333 on Tue Oct 30, 2018 7:55 pm, edited 6 times in total. you need to set the emulator's mode to phone. chrrox wrote: you need to set the emulator's mode to phone. is it possible to download assets only with NOX?